In TSR you can add a list of locations that you can use in your time reporting. This field is separate from the standard Outlook ’Location’ field, and works as a dropdown with predefined values. 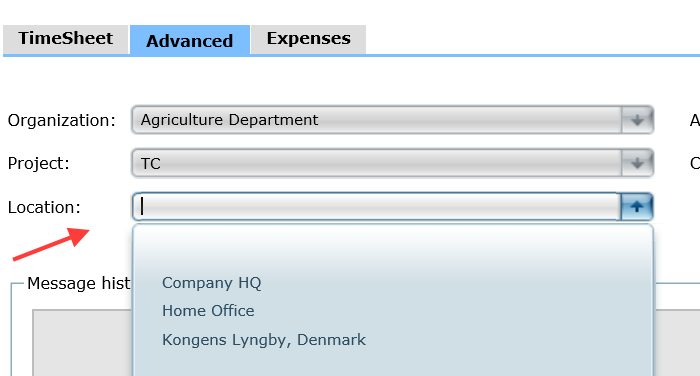 You can select this field under ‘Advanced’ on your timesheets and also on your user profiles. 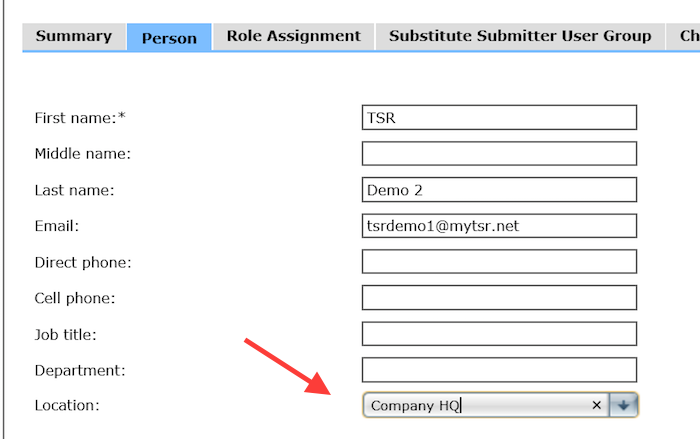 The field can be selected to be included when exporting time entries with TSR DataBridge. Adding Locations to time entries. You do this under Advanced.